As we enjoy the summer season, there are many health tips to keep in mind to keep your pet healthy and well during this wonderful time of year. Because pets and people spend increasing amounts of time outside, it is important to be aware of the risk of heat stroke as the temperature and humidity increase. Fresh, cold water should be available for any pets spending any significant time outside. Pet guardians should be aware of any high humidity or heat index warnings, which is a signal to owners that their pets should be kept inside in a cool environment as much as possible, especially during these weather advisories. When traveling with pets during the hot days of summer, extra caution should be taken not to leave pets in parked cars for any length of time. Even with the windows open, temperatures can rise quickly to 120 to 130 degrees inside non-air conditioned cars. 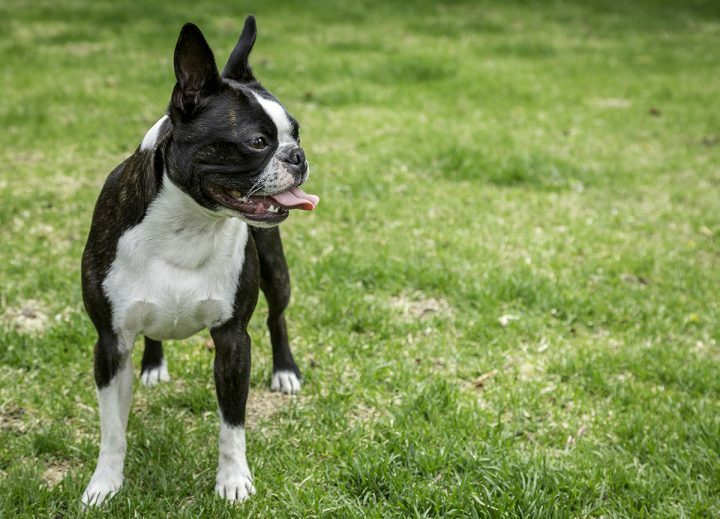 Older pets are more sensitive to the effects of the heat as well as brachycephalic breeds such as Pugs, Bulldogs, and Boston Terriers to name just a few. Symptoms of heat stroke in pets can include excessive panting, drooling, neurologic signs such as wobbliness and disorientation, as well as even seizures and coma. If heat stroke is suspected, an animal should be immediately taken to the nearest veterinarian, and the temperature of the pet should be lowered gradually through frequent cool shower baths, and rubbing alcohol compresses applied to the extremities and ears to promote heat loss. With the increasing amount of time spent outdoors, insect bites, bee stings and other allergic reactions are frequently seen. Many pets will present with facial swelling, hives, and/or painful puncture wounds. Having a good supply of Diphenhydramine (Benadryl) on hand at home is essential during the summer season. If the allergic reaction is severe, then a veterinary exam is recommended, where injectable corticosteroids often provide rapid relief in those more severe situations. Of course with the warmer temperatures come increased exposure to fleas, ticks, mosquitoes, and other external parasites, so it is important to make sure that pets are on heartworm preventative medication such as Heartgard as well as flea and tick control, whether by natural methods, or more conventional spot on treatments such as Frontline Plus or K9 Advantix II. And finally, increased time spent outside also brings with it the increased likelihood of encounters with wild animals such as skunks, raccoons and bats. These three mammals are the biggest carriers of rabies in most states, so it is important to make sure that rabies vaccinations are current and up to date. I have taken in 2tiny kittens about 2 months old. They were riddled in fleas,so I gave them a bath. They don’t have any fleas now but now I notice that they have creamy poop. What does this cause in them. And is there something I can give them to help. I already have to adult kitties should I keep the kittens from using there litter box.the kittens have there own but when I have them out of there room for exercise they sometimes use there’s. I feed the kittens good quality kitten wet food 2 a day and kitten nuggets threw the day. Is there anything I might be missing to do for them. They are so then I have only had them for 8 days now. Thank u for any information u can help me with. HI Debbie. I would recommend them worming them with broad spectrum wormer such as panacure granules or liquid from 1800petmeds for 5 or 6 days to treat most common intestinal worms. Wait to let kittens use adult cats’ litter box until you worm them. Also consider good probiotics as well such as Fast balance and fortiflora from 1800petmeds. Will the seresto collar intwract adversely with my dog’s predisone? My dog takes mycrophenylate and Medrol for his Pemphigus. Can I give him Tumeric with these?